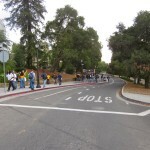 It’s not hard to detect student energy walking through Berkeley’s campus, particularly on an artistic wavelength. 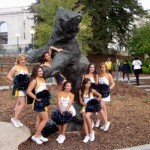 An acapella group will sing the alma mater under swaying palms while free style dancers entertain in an open quad. 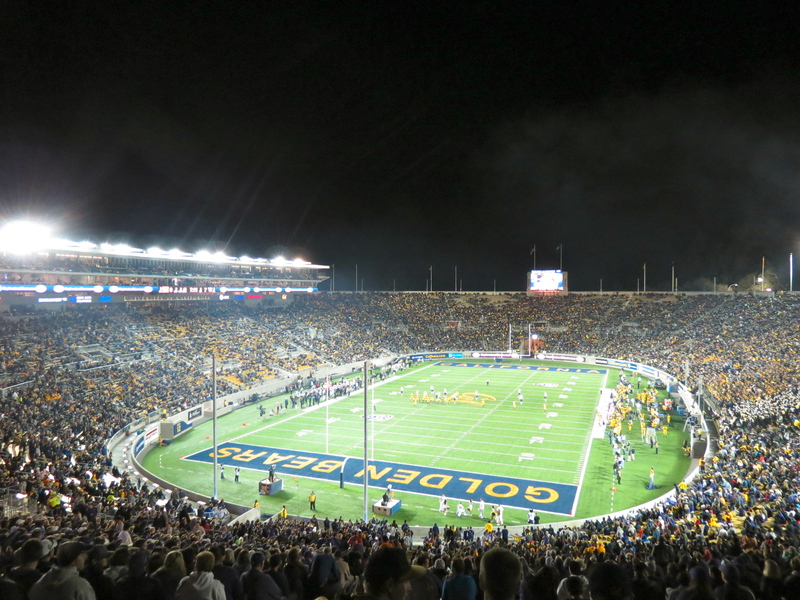 Fans decked in blue and gold mosey toward a newly renovated Memorial Stadium, and you get the sense that they truly appreciate the beauty and tradition that this university holds. 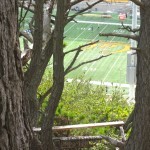 Nowhere on campus can this be better understood than high atop Tightwad Hill adjacent to Memorial Stadium. 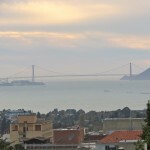 From this spot, fans are offered a treetop vantage point of the stadium below and a backdrop complete with a breathtaking view of the Bay Area including downtown San Francisco and both the Golden Gate and Bay Bridges. The price of admission is free, thus inspiring the nickname Tightwad Hill. 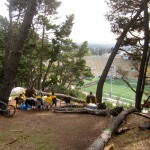 Set up your lawn chairs and grills, have a seat in one of the carved out dirt bleachers, or perch yourself on one of the wood boards pounded into the trees overlooking the action below – every seat is a good one. 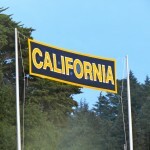 Despite the stingy nature of these folks, it’s on this hill that you will find some of Cal’s most devoted fans. Chatting with any of them is like cracking open a California football history book. 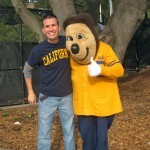 These diehards love to share their unique perspective of Golden Bears’ storied games and football traditions. 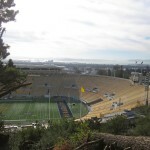 One fan shared with me his memories of storied Stanford games where over 300 tightwads can cram on this hill. 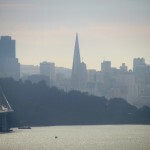 He explains how he has witnessed the Blue Angles perform stunts over the San Francisco Bay. He even recalls the eerie, but proud feeling of singing the national anthem while overlooking Memorial Stadium during the game following 9/11. 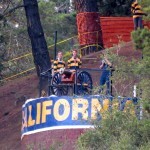 Climb a little higher and over to the right, dodge a few trees, and you will bump into the California Victory Cannon and its band of Cannoneers. 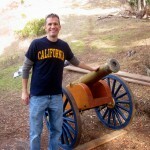 This canon also holds a proud tradition in Cal football history. 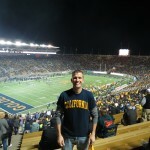 It explodes before every Cal game, after every Golden Bear score, and especially after a California victory. 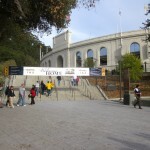 In 1971, the conference banned cannons inside the stadium. The rest of the teams simply abandoned their victory weapons. 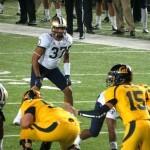 But, Cal got around this rule by resting theirs upon Tightwad Hill. 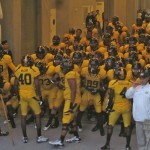 It clearly can be seen and heard from Memorial Stadium below keeping a stronghold on this valuable tradition. 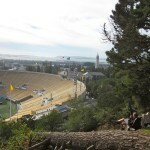 No visit to Cal is complete without a stop on this hill – even if you pay for your seat. 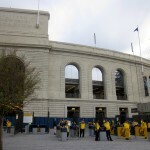 Once back on level ground, it’s clear to see that the renovations did not strip away any of the beautiful original architecture on this stadium. 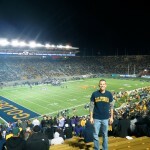 The 60,000+ seat arena is a classic old bowl that is a memorial to Californians who have lost their lives in battle. 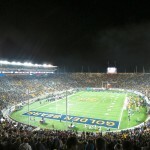 The Cal band entertains and marches proudly prior to kickoff and the Golden Bears enter to the fight song and loud rumbling of the victory cannon. 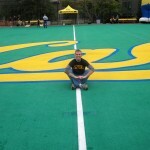 The students hold their ground at the fifty yard line and audibly express their devotion to the Bears all game long. 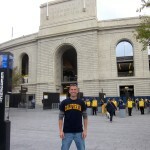 Cal fans are a loyal and proud bunch that support their team through triumph and tribulation. 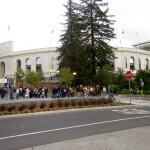 Win or lose, they spill out of Memorial Stadium and filter throughout Berkeley ready to celebrate another exciting gameday. 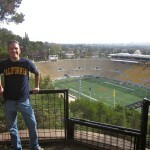 Cal fans are mainly hospitable (except toward Stanford) and only enhance the beautiful surroundings in Berkeley. 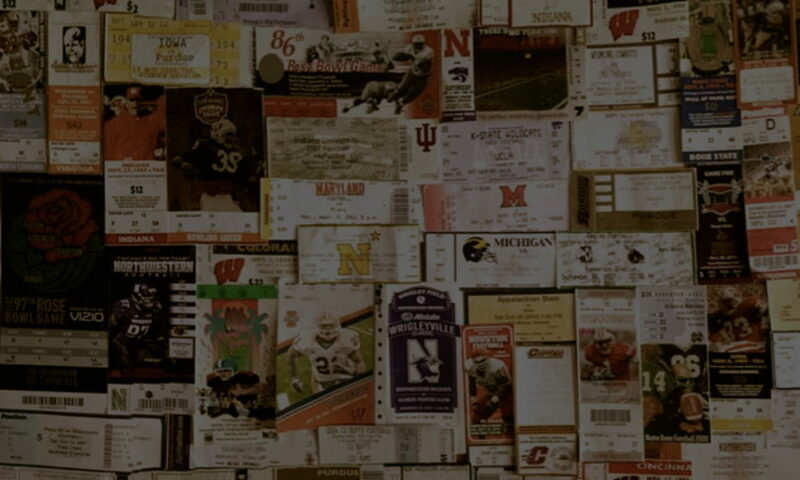 This town, this campus, this way of life is a must stop for every football fan. The experience will leave a lasting impression.